To cater to the individual and specific requirements of our valued clients in a better way, we provide them with customised bags, garments, purses and shoes. These premium quality leather products can be customised on parameters of size, colour, design and usage of raw material. We are assisted by a diligent and highly creative team of designers who understand the market as well as clients' preferences and design products as per specific requirement. The customised leather products offered by us are highly appreciated for trendy designs, fine stitching and seamless finish. We have a capacious manufacturing unit, which is equipped with modern machinery and latest equipment. These technologically advanced machines have a capacity to produce leather products in bulk quantities. Cutting edge technology of our tools and equipment help us ensure products with excellent finish and polish standards. Manpower appointed in the production unit is proficient in designing leather products in varied designs. Further, we incorporate the recommendations given by the R&D unit and unify our professionals' skills with technology to deliver durable & cost-effective products. 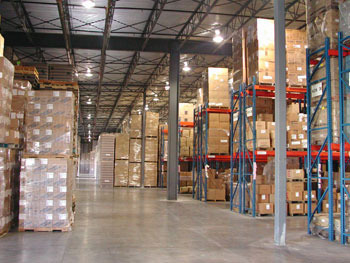 We have a highly sophisticated warehousing unit, which is well- equipped and facilitate effective storage. Featuring rodent, dust and moisture free environment, this unit prevents any kind of potential damage to our products. This unit is well-structured with various storage provisions and is compartmentalised for organised segregation of the products. Further, the sound storage capacity of our warehouse enables us to keep ready stocks of every item to deliver our orders at the earliest. To ensure damage-free transit of our consignments, we pack these leather products in quality packaging material.